Exploratory analysis and predictive models of how Chicago's neighborhoods interact with the City's 311 service requests. Which cities get the most sleep? 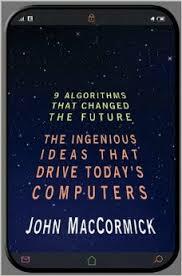 "A terrific book if you are interested in understanding how these algorithms work. The author is superb at explaining the core ideas in clear, understandable terms. You don't need to be a computer geek to follow this book. All you need is a desire to understand. I wish I had had more teachers like this guy when I was in school. I am truly impressed with his ability to explain..."